Thread: Show us ya coils! 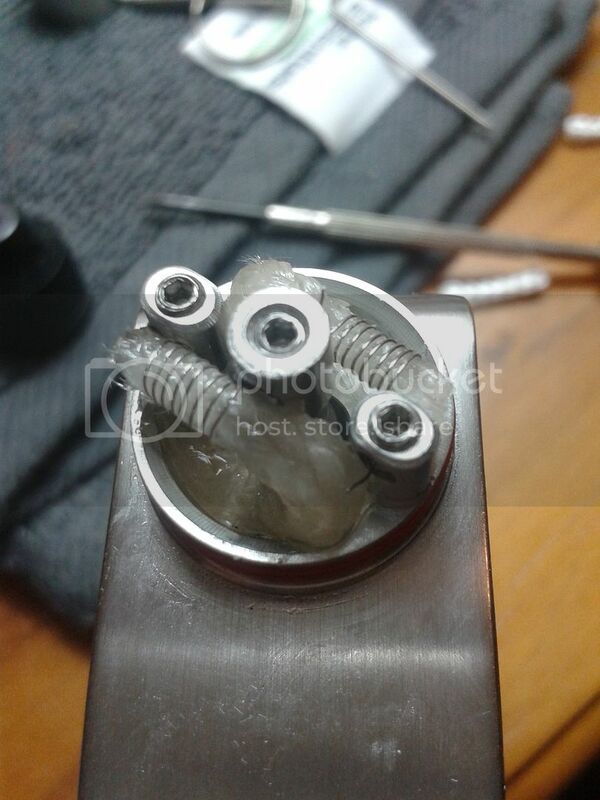 Always wondered when dripping through out the day what other people's ADV coils look like. Just curious I guess. Could be good for new vapers to see what's normal and what's not or for some (like me) to know if they are doing it wrong lol. Also im nosy. Fluffyvapingclouds, sc_rufctr and addappt like this. Yeah it's pretty fresh, bout two to three runs through it. 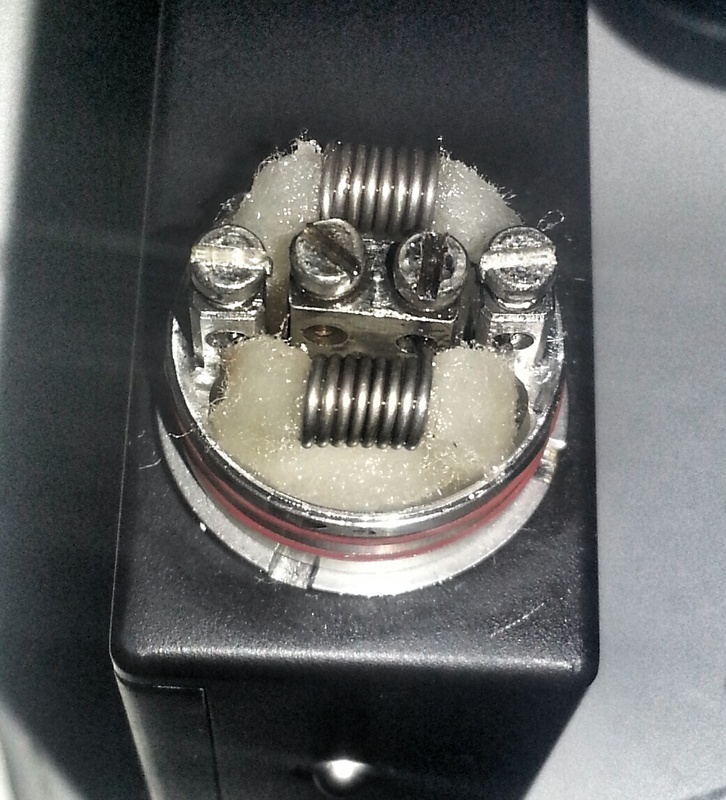 Just built my new bellus, this is my go to dual coil tank build, 26g 316L SS wire at 0.25 ohm, I run this at 30w for a nice quick response as I'm not a fan of long ramp up times. Bit wonky lol as I'm not used to the deck but lighting up beautifully and even so I left it. Fluffyvapingclouds and addappt like this. Fluffyvapingclouds, Tigas and addappt like this. 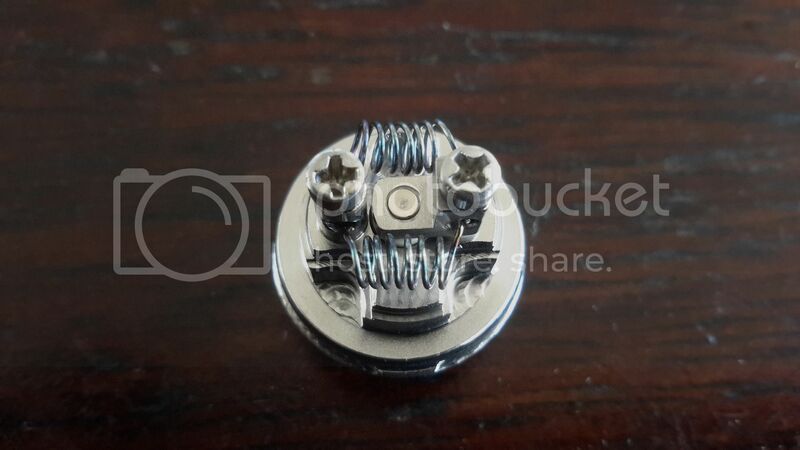 Ever use a screw to wrap your spaced coils? Is that rayon or silica? Why so thin? What's the advantage?